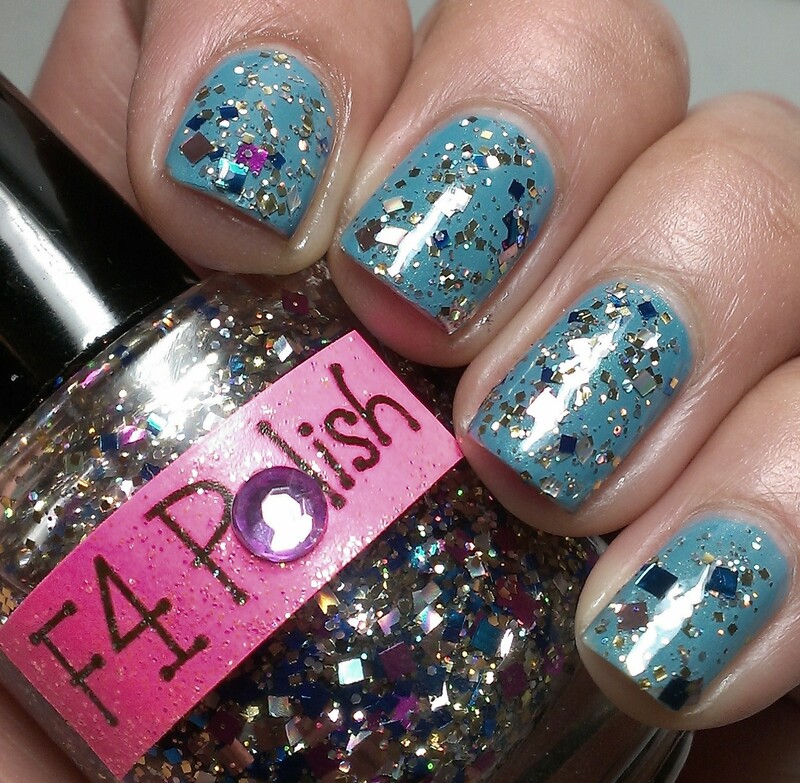 I have another lovely glitter from F4 Polish! This is another winner in my book, the formula is amazing and the glitter is soooo pretty. How cute is that label? Hope you girls have an awesome day! 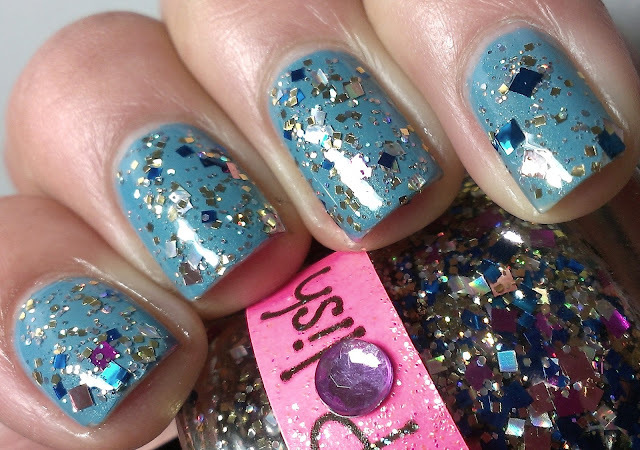 i love this glitter! i dont own any square glitter! hmm i need to do something about this .lol Lovely swatches <3 #twinglitterwhores 4 laif. I love it! Great page btw :) you have such pretty nails. This is beautiful! I love all the square glitter! SQUARE GLITTER! I think I'm in love! The color combo, the squares...yum! There's so many indies out there nowadays, it's hard to keep up! The label is really cute! 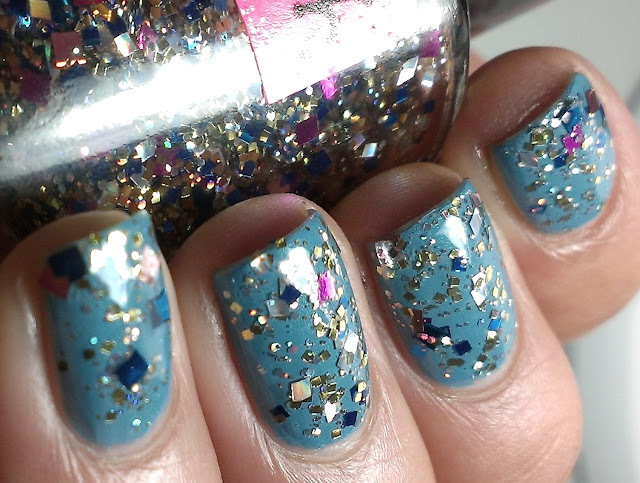 I love this glitter! I love all the squares in it - that's something that's really been catching my eye! I'll be nice and say I like the base color!